Sorry all my 3 to 5 windows have been filled this week except tomorrow 3pm. So if you want I can give you a call tomorrow Thursday 2nd February. Can you reply quickly as my agenda is filling up quickly this week. Otherwise we’ll have to take an appointment for next week. Could you do between 3-5pm today? Sorry but I missed your message or the system didn’t send me a notification. Probably because we have been changing servers and some emails have got lost. It’s all been a bit havoc but it done now and our sites are faster, securer and we shouldn’t have any more problems. I can certainly give you a Team Viewer session between 3pm and 5pm, this afternoon or any day next week up to Thursday. I usually set a video recording of the session so no need to worry about that. Send me an email to tell me what suits you best. I feel I’m missing something as I haven’ heard back from you. Is it the id and password? Or do I need to make a payment or something? Thank you for your offer of a team viewer session, I have downloaded team viewer. Would you be available to help me between 3-5pm this afternoon or tomorrow? Is it possible to record the session? As I find it hard to remember computer instructions, I’m a bit of a dummy when it comes to this sort of thing. To set up a Team Viewer session, tell us when you are free and we’ll see when we can fit you in. I have managed to use the boxful template to arrange my bookcase, but I still can’t create the groves for the shelves to sit in using either grooves link or divisions. How does a team viewer session work? Maybe that would help. Hi Flo, no, you go on using the free/demo version. You only receive an activation code if you buy Polyboard outright. This allows you to output your own cutting lists and plans direct from the software. The free/demo version allows you to design in full however. The file of your project is exactly the same as the file produced by an activated version of the software. Thank you Ness, I will work my way through your suggestions. One more question, do I have to re-download the software now I am a paying member? The drawings I have done so far say they are on a demonstration version. 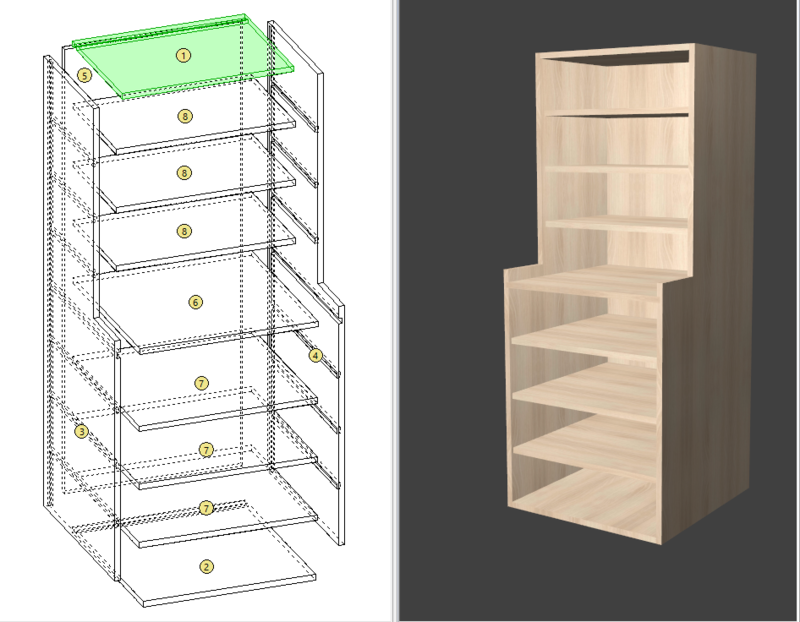 You can make a double depth cabinet by assembling 2 in project mode. However, if you want the side panels to be continuous it’s probably better to make it as one unit. The way to go about it is to cut the side panels to the correct shape using an “inner tooling”. Then select a side and open the “structure” options. You can then copy and paste the structure to the other side. Use the “Links” section to create a groove link to the sides or better set up a “divisions” sub-method. You can automate these setups with sub-methods. If you want me to show you how do this we can set up a Team Viewer session, just tell me the right time for you. 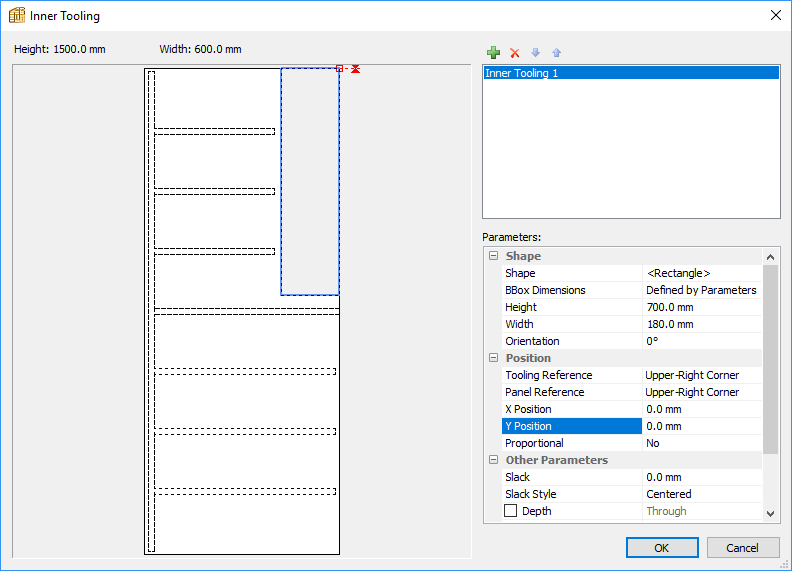 I attach the model as an example you can configure to your sizes. I’m Flo, I have been running an antique restoration business in London for the last 17 years as the chief cabinet maker, however, recently due to changes in the market I have found myself needing to diversify towards making and I dug out my old technical drawing skills for the last few projects, but came to the conclusion there must be an easier way…. 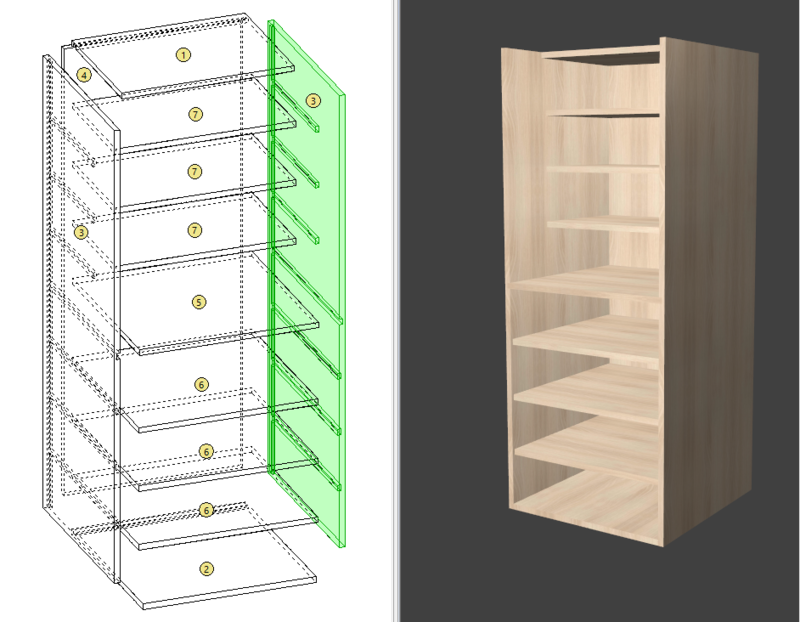 So here I am, I’ve started with this program to draw up a simple bookcase, but am struggling a bit, I want it with a deeper section at the bottom which I think I can only draw as two cabinets, one on top of the other, is that right? Also I would like the side boards to be continuous top to bottom with all the shelves between them set into grooves, I can’t see how to arrange the construction this way.